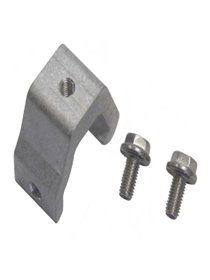 View cart “Solar Fastener for steel substructure 100mm/50mm” has been added to your cart. 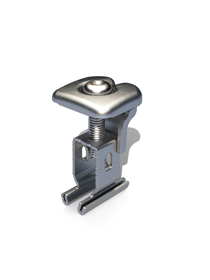 The S-5-K Grip clamp was specifically developed to fit Klip-Rib® and other bulb snap-together seams. 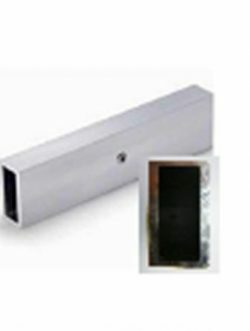 The design utilizes multiple inserts (sold separately) in order to accommodate a variety of bulb snap-together profiles. Each insert has a unique shape that allows for a tight fit and provides increased holding strength over other attachment options. The S-5-K Grip Mini is a bit shorter than the S-5-K Grip and has one base bolt rather than two. The mini is the choice for attaching all kinds of rooftop accessories: signs, walkways, satellite dishes, antennas, rooftop lighting, lightning protection systems, solar arrays, exhaust stack bracing, conduit, condensate lines, mechanical equipment—just about anything! This Seam clamp is not complete, it requires inserts to work. 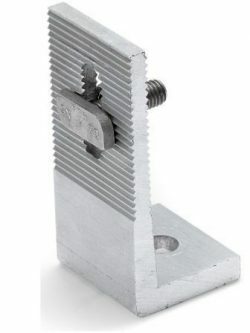 UK only: The clamps should meet or exceed the requirements for MCS012 wind uplift values, but since they are not officially MCS012 tested and certified, they should not be used on <50kWp installations.